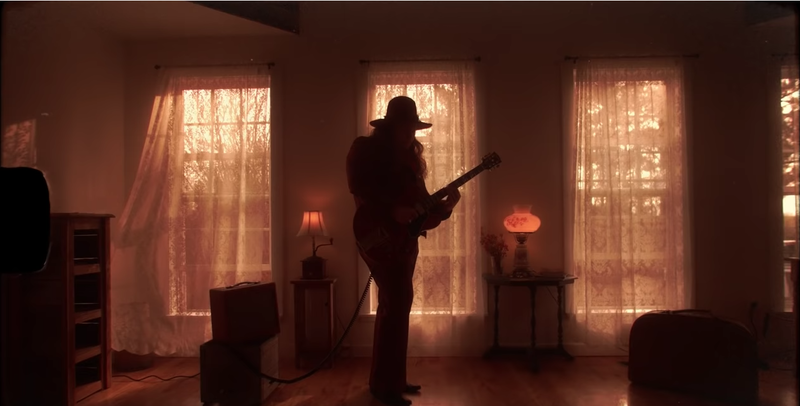 The Marcus King Band have released the video for ‘Goodbye Carolina’, a poignant, lyrical ballad from their critically acclaimed album Carolina Confessions. The band have also announced a number of UK headline shows this June alongside appearances at The Isle Of Wight and Black Deer Festivals. The video, directed by Tess Lafia and shot in Nashville, is a stunning portrayal of the pain and struggle of change, a subject that resonates with King, who recently moved to Music City from his native Greenville, South Carolina. The Marcus King Band have become one of the most exciting new arrivals in American music. The band — guitarist, vocalist and songwriter, Marcus King, drummer Jack Ryan, bassist Stephen Campbell, trumpeter/trombonist Justin Johnson, sax player Dean Mitchell and keyboard player DeShawn ‘D-Vibes’ Alexander – are fresh from a standout week at this year’s SXSW, including searing sets at Willie Nelson’s Luck Revival and Antone’s, which Rolling Stone named one of the festival’s 30 best performances. The band also recently performed a mesmerising version of ‘Goodbye Carolina’ on The Late Show with Stephen Colbert — watch HERE. The video release comes as the soulful rockers embark on a high-profile international tour this summer, which sees them currently on their second trip to Japan for the Billboard Live Festival, before playing dates in Australia as a part of the Byron Bay Bluesfest, then returning home for three headlining dates at The Brooklyn Bowl in June prior to heading across to Europe and the UK. The band then return to the States in early July to join country music juggernaut Chris Stapleton on his All-American Road Show tour. Most recently it was announced that MKBwill perform as part of the historic Woodstock 50 Festival this August.